Italy will speed up granting citizenship to a quick-thinking student who hid and called authorities when a school bus carrying 51 children was hijacked and set on fire by its driver, the interior ministry said. The ministry will also cover the costs of the boy’s citizenship process, according to reports. The Carabinieri police of Sandonato Milanese identified the student as 13-year-old Ramy Shehata. 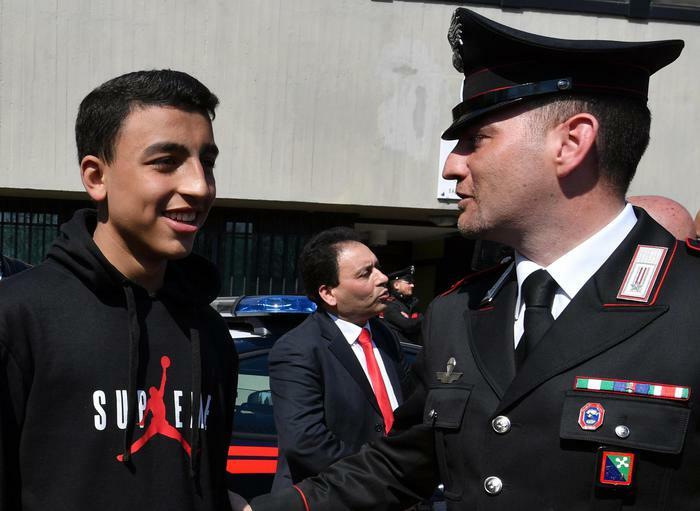 Carabinieri who received Ramy’s call said the teenager was able to provide the bus’ exact location over the phone and said his actions were “essential for the rescue”. “The Interior Ministry is ready to take on the expenses and speed up the procedures to recognise citizenship for the little hero. The hope is to attribute ... citizenship to Ramy and remove it from the bus driver,” a statement from the interior ministry said. Ramy, who has been hailed a hero by classmates and authorities, was born in Italy but is not an Italian citizen. “We’re Egyptians, I arrived in Italy in 2001, my son was born here in 2005 but we’re still waiting for the official document,” Ramy’s father said, adding the family would really like to stay in Italy. Ramy told Italian news agency ANSA he would like to be a Carabiniere when he grows up. Deputy Interior Minister, Matteo Salvini, said the government would “evaluate” the request for citizenship. Salvini said Ramy was a “little hero”. Meanwhile, his coalition partner, Luigi Di Maio of the Five Star Movement (M5S), said Ramy should be granted citizenship. Di Maio said on Thursday that Ramy “put his life at risk to save that of his classmates”, and that he would request the boy be granted citizenship for special merit. Thanks to Ramy’s call, no students were seriously injured in the incident after police arrived and broke the back windows to free them from the bus. The driver of the bus, named by police as 47-year-old Ousseynou Sy, an Italian citizen of Senegalese origins, was arrested and faces attempted murder, kidnapping, resisting arrest and arson charges.